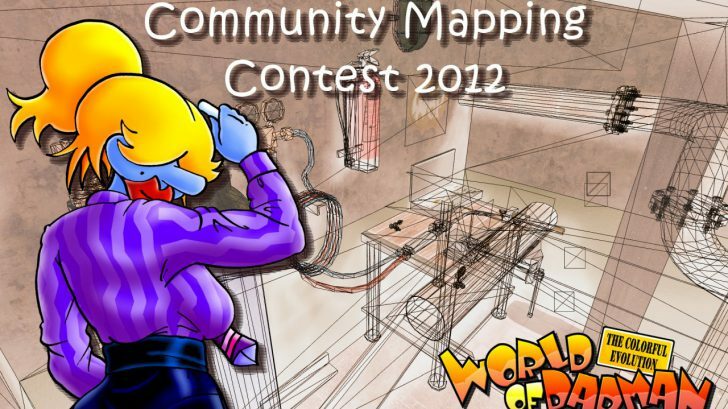 The upcoming weekend we start the first community mapping contest. There are so many nice and well done community maps out there, but they’re spread all over the world wide web and may get lost one sad day. To avoid this we would like to create a single official community map pack, including all the high quality maps created by community mappers. Another goal is to update some of the old maps that currently are not compatible with World of Padman 1.6. Furthermore we want to include new and unreleased maps which still linger on your hard drive, waiting to be played. You can submit your maps until the 21st of July. Afterwards, testing and voting by the community starts. Therefore the WoP team provides an extra official server, running only the final community maps. As soon as maps are final, sent in and checked regarding requirements and integrity we will upload them to our server, where players can auto-download them. The contest has no special theme or topic, all maps are welcome which you consider suitable to the World of Padman. All maps will be evaluated in three categories by a judging panel consisting of five members of the WoP team. The judges review every map and give feedback if the requirements are fulfilled and hints or reasons when they are not fulfilled. Furthermore the community can vote for all maps to sway the judging panel evaluation. By August 21st we will finish the community voting and by September 2nd we expect to showcase the best community maps and to release the final community map pack. We will provide coverage for all map entries. Every map will get its own topic in the WoP editing forum to gather community feedback. We also present the maps in a news post at our website as soon as they are final. It would be best not to wait until the deadline is reached, so send in your maps as soon as possible. Please note the contest rules and pay attention to the requirements section. Please, support the project, update your existing maps to include them into the package.